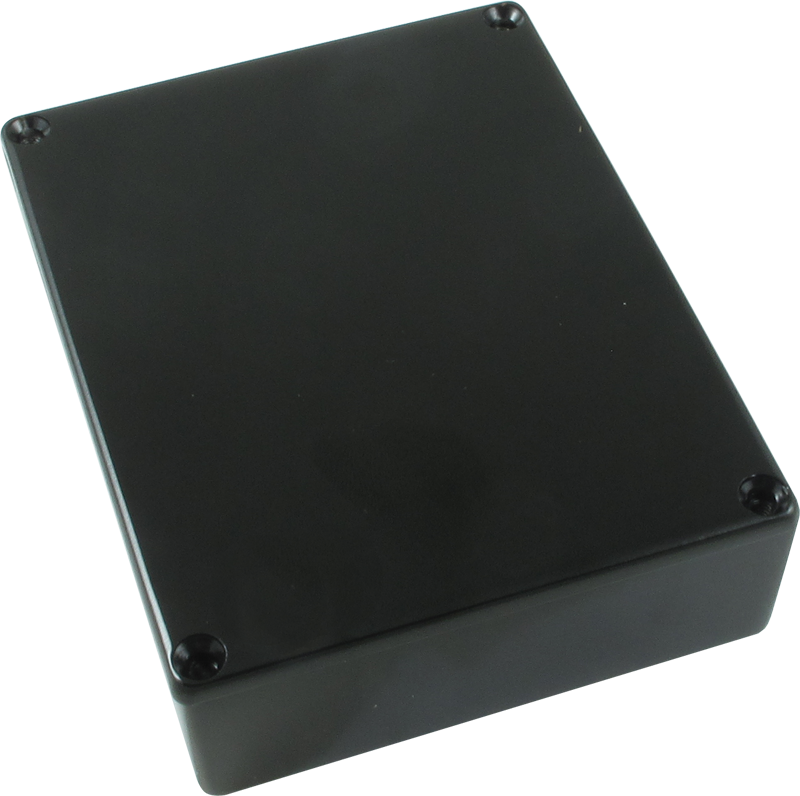 Black P-H1590BBCE-BK Packaging Dimensions 5 in. x 4 in. x 1.6 in. 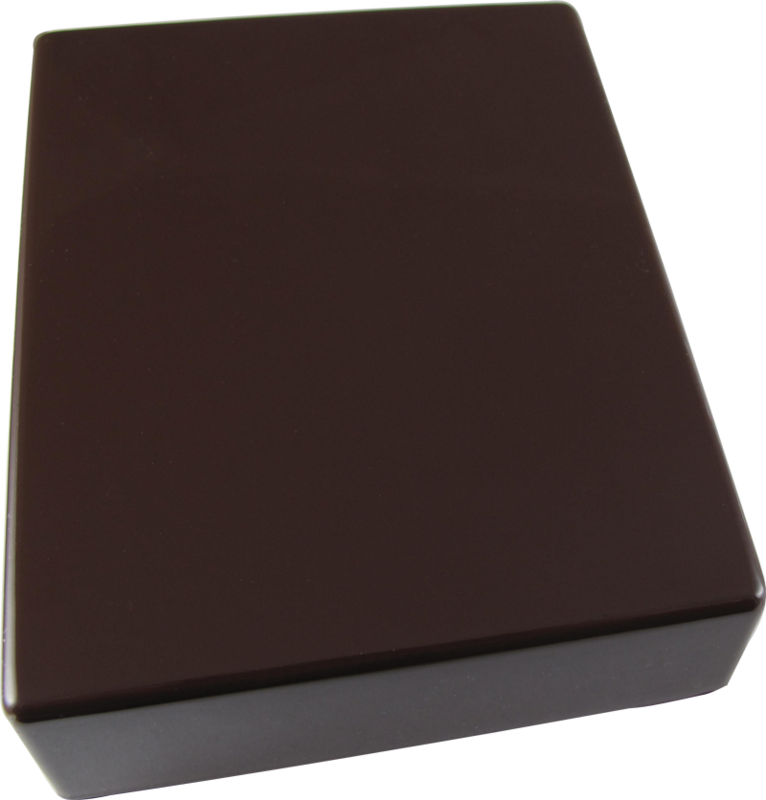 Brown P-H1590BBCE-BN Packaging Dimensions 4.25 in. x 3.5 in. x 1.125 in. 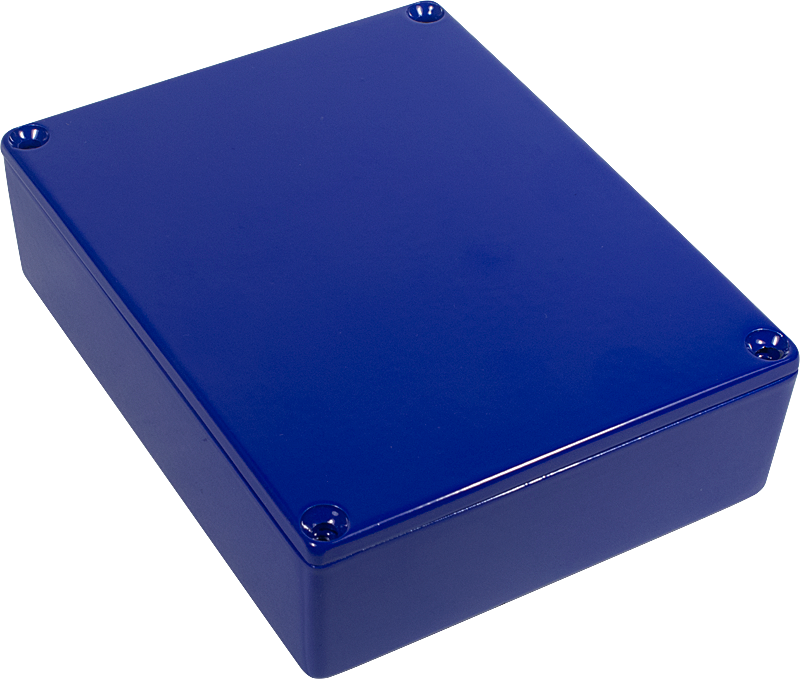 Dark Blue P-H1590BBCE-DB Packaging Dimensions 5 in. x 4 in. x 1.6 in. 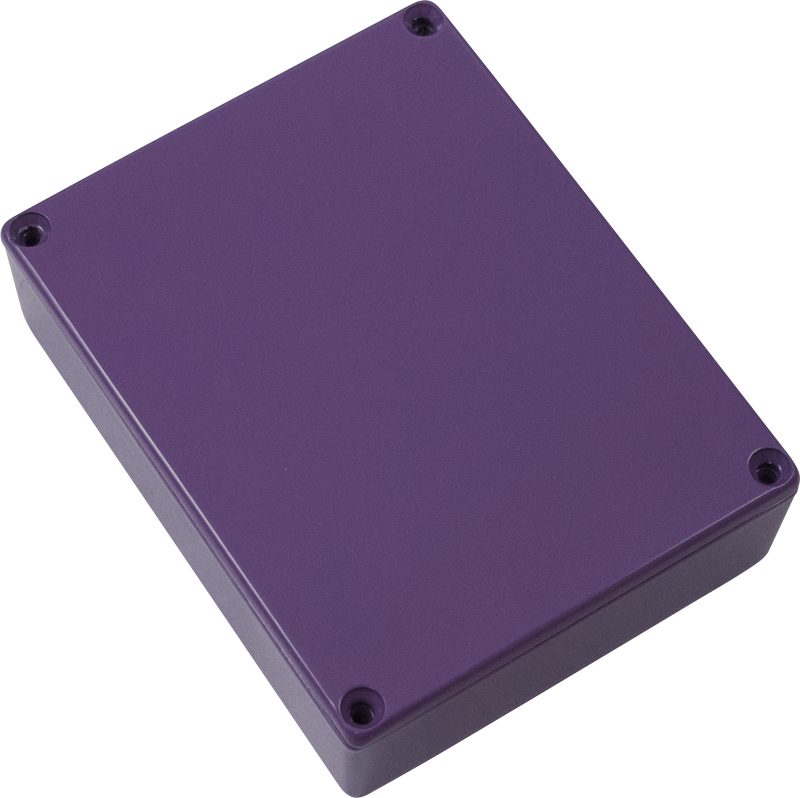 Deep Purple P-H1590BBCE-DP Packaging Dimensions 4.75 in. x 3.75 in. x 1.6 in. All models Depth Less Lid 1.18 in. All models Depth With Lid 0.16 in. 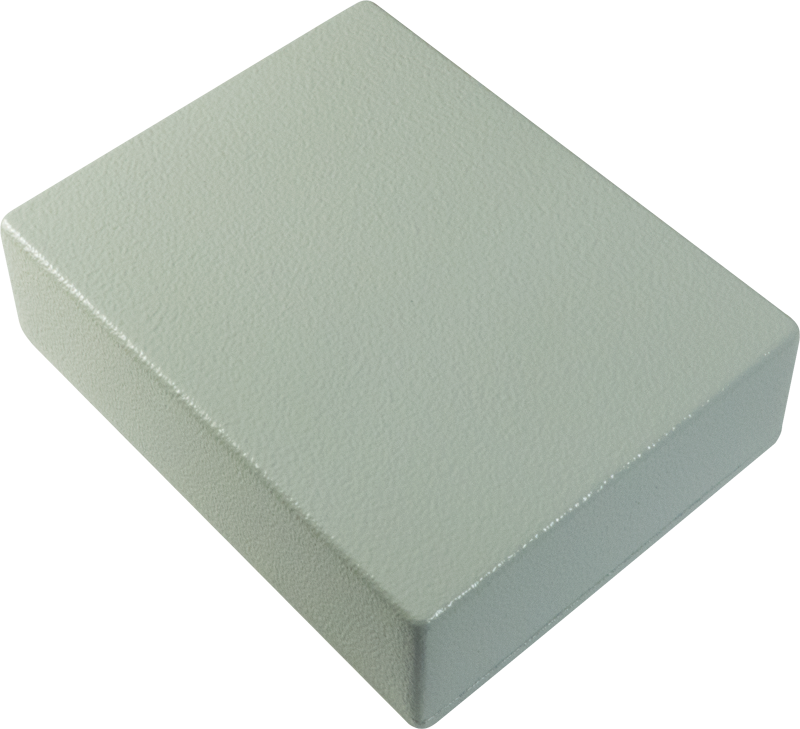 Grey P-H1590BBCE-GY Packaging Dimensions 4.25 in. x 3.5 in. x 1.125 in. 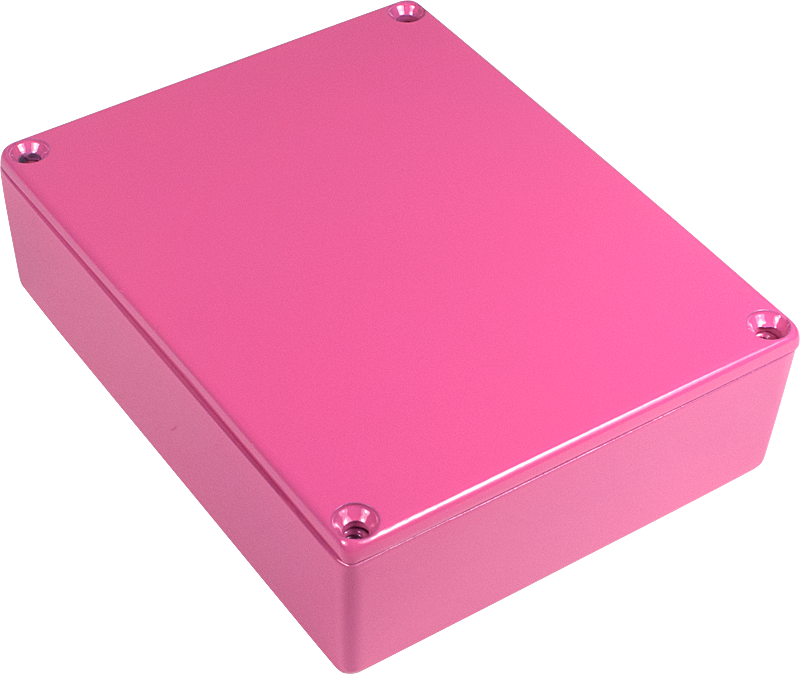 Hot Pink P-H1590BBCE-HP Packaging Dimensions 5 in. x 4 in. x 1.6 in. All models Item Length 4.67 in. All models Item Width 3.68 in. Kelly Green P-H1590BBCE-KG Packaging Dimensions 4.75 in. x 3.75 in. x 1.6 in. 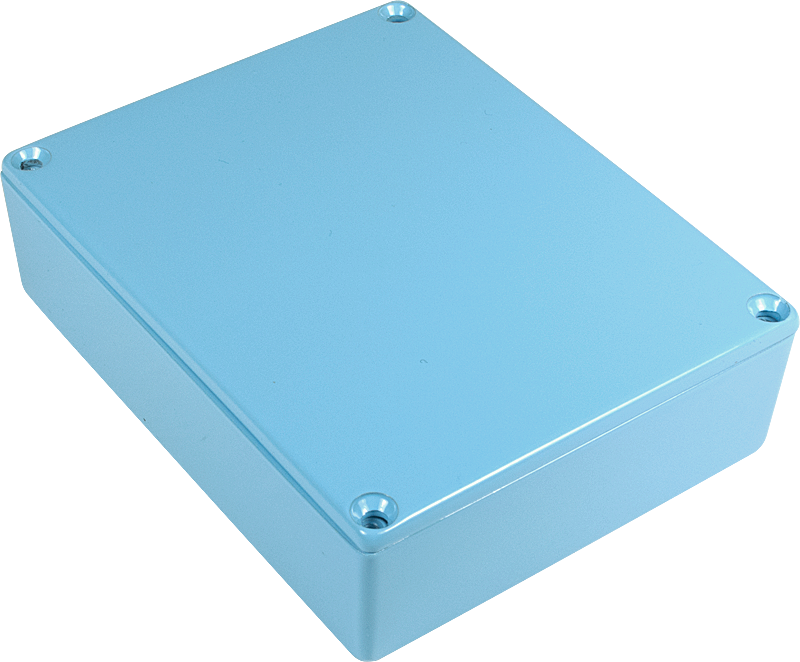 Light Blue P-H1590BBCE-LB Packaging Dimensions 5 in. x 4 in. x 1.6 in. 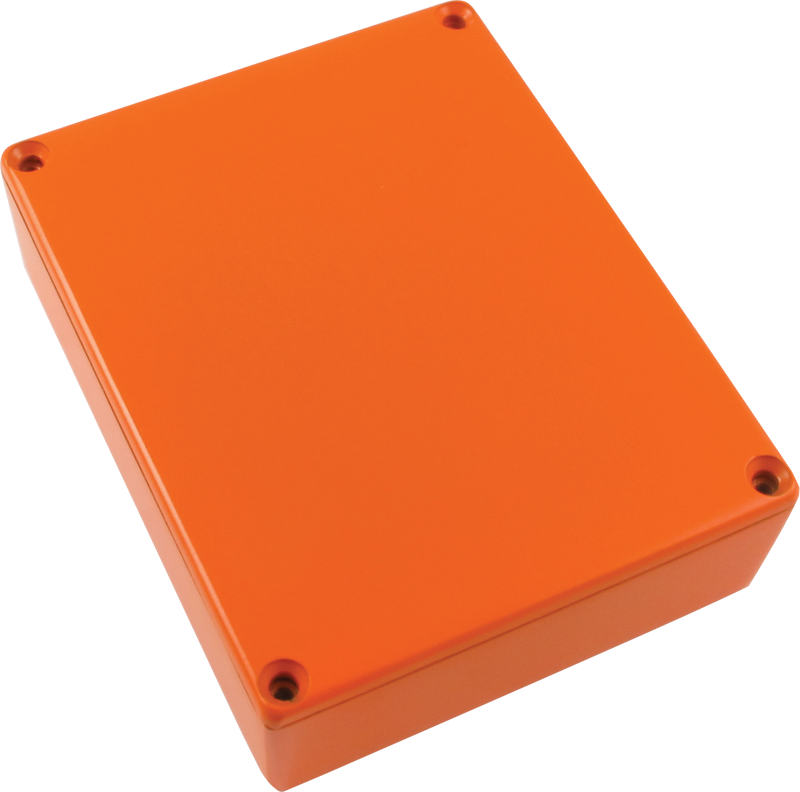 Orange P-H1590BBCE-O Packaging Dimensions 5 in. x 4 in. x 1.6 in. 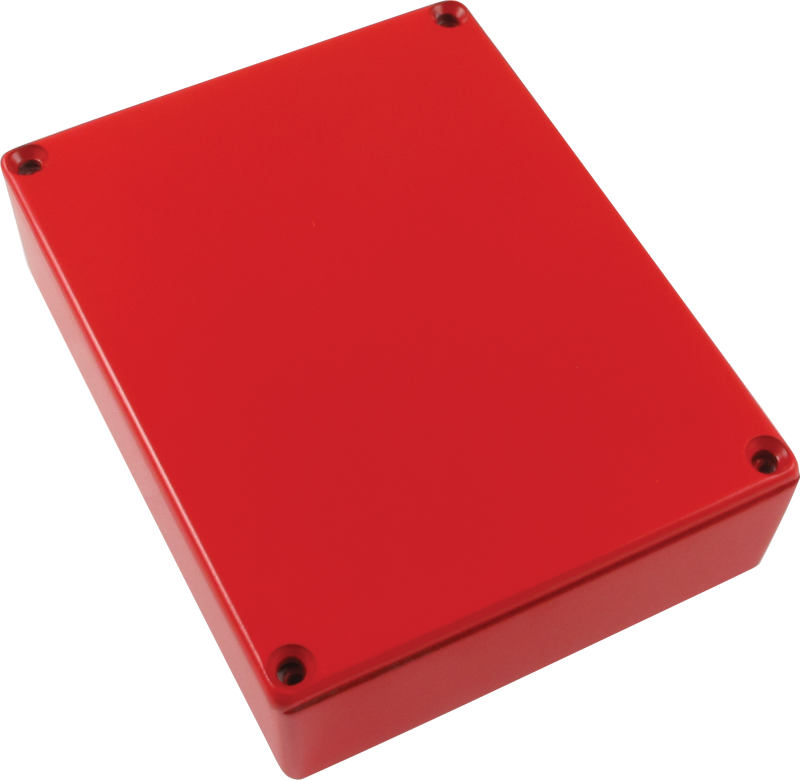 Red P-H1590BBCE-R Packaging Dimensions 5 in. x 4 in. x 1.6 in. All models Weight 0.49 lbs. 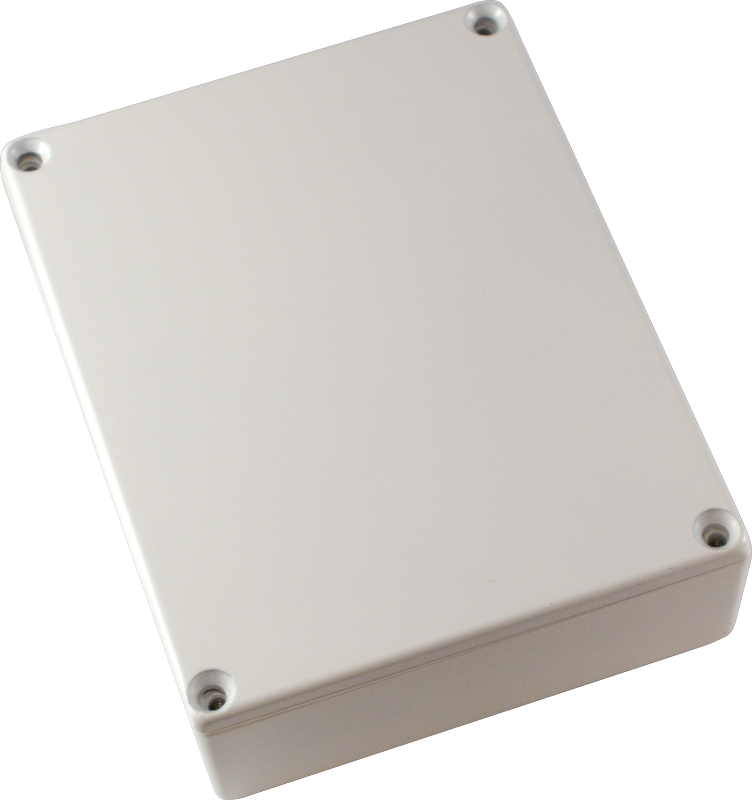 White P-H1590BBCE-W Packaging Dimensions 4.25 in. x 3.5 in. x 1.125 in. 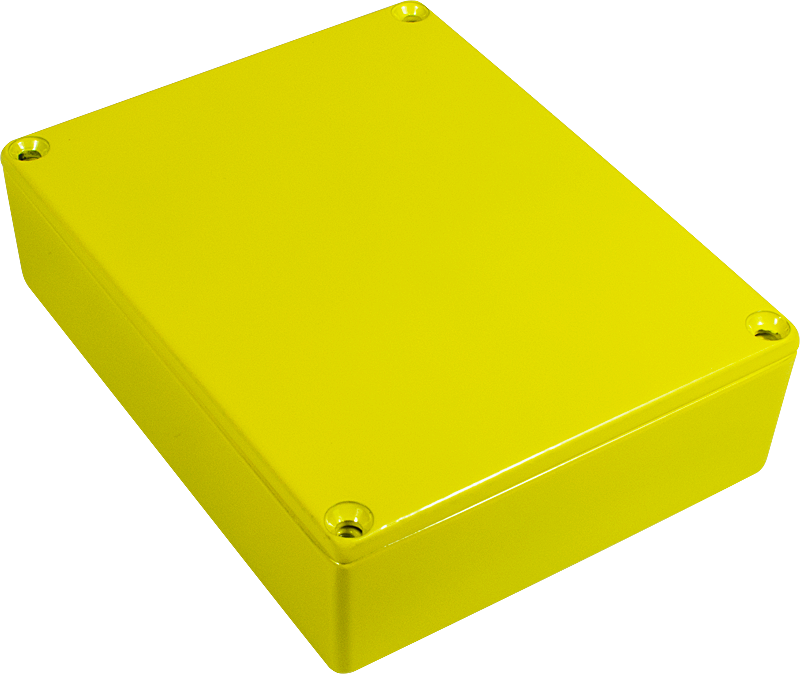 Yellow P-H1590BBCE-Y Packaging Dimensions 5 in. x 4 in. x 1.6 in. 1 answers I can’t see any dimensions on this page, a bottom side photo would also be nice? Here are the specs: 4.67" x 3.68" x 1.18". The bottom is just like a typical stomp box enclosure. 1 answers Is this offered in red? I think I see a picture of a red one, but I don't see it listed for sale. Thanks. We do have the red version and are working on getting it added to this listing. For immediate assistance you can call and place your order using P-H1590BBCE-R as the part number at: 480-296-0890.